We have acquired a quantity of Beech curved work stations 1600 x 1200 with desk end pedestal's and 1400 x 800 straight desk's. These will be coming in to us this week. Discounted Lee and Plumpton Satellite desk's available in Bulk at discounted prices are available @ delivery only. Just give our sales team a call and have a chat. 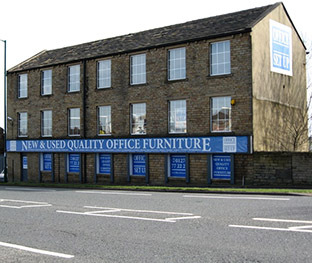 We have recently fitted out Sterling Locks new UK headquarters in Bradford. We’ve added lots of new stock to our used furniture section including Vitra Tables and Chairs. Take a look and see if there’s anything that’s meets your requirements.